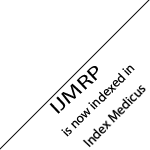 International Journal of Medical Research Professionals (IJMRP) is a indexed, multidisciplinary, peer-reviewed, open-access, international medical research journal. 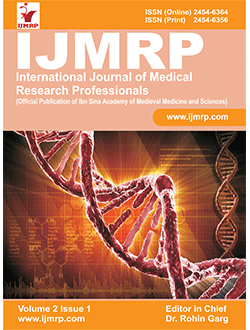 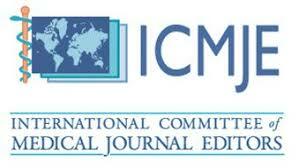 The International Journal of Medical Research Professionals is published bimonthly, (6 issues per year). 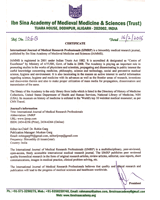 Published by Ibn Sina Academy of Medieval Medicine & Sciences, registered in 2001 under Indian Trusts Act, 1882.